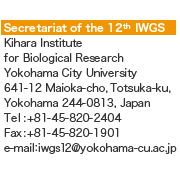 The Local Organizing Committee of Japan is pleased to announce the 12th International Wheat Genetics Symposium (XII IWGS) will be held on September 8 - September 14, 2013 in Yokohama, Japan. 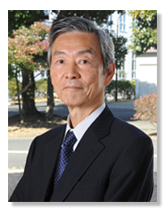 Japanese scientists and wheat strains of Japan have contributed to great achievements for wheat genetics and breeding. Furthermore, wheat science has been coming of new era, because the wheat genome sequencing project has been started under the international collaboration. By middle of 2013, outline of wheat genome structure should be clarified and arbitrary molecular markers to select target traits for improvements of wheat quality and quantity could be developed in any wheat populations. Hence, it is a good chance to get together in Yokohama for mutual exchanges of wheat information and discussions on wheat breeding for sustainable food supply. The XII IWGS will highlight on recent achievements in wheat research and their translational applications to wheat breeding.